cost of inspection and maintenance of equipment. Equipment coverage can include machinery used in retail, office and manufacturing settings. Equipment coverage also includes most major machinery systems common to most commercial buildings, such as, heating, production equipment, compressors, gears, fans, blowers, pumps, ventilating and air conditioning. Equipment coverage insurance can also help cover costs due to damages related to electrical systems, such as, transformers, electrical switch gears, motors, voltage regulators, generators, computers, fax machines, copiers and telephone systems. These policies can be written to cover replacement of damaged or destroyed equipment, and loss of profits and continuing expenses, or business interruptions, which may have occurred due to equipment breakdowns. Equipment breakdown insurance is an import aspect to protect today’s high-tech industries. Computer systems are expensive components and integral to the daily operations of many technological businesses. While equipment breakdown insurance will typical not cover damages or interruptions due to software malfunctions, this type of policy will protect a business’s computer systems if those systems experienced damages from power surges, hard-drive damages caused by physical harm. Agricultural businesses which may experience losses due to equipment breakdowns, such as food spoilage or food contamination can benefit from equipment insurance coverage. Hospitals and schools often have equipment and technologies which can be expensive and cause loss of profits in said equipment were to fail. These industries have found equipment coverage and instrumental addition to their insurance coverage. Some additional coverage’s may include mold damages: repair or replacement, clean up, and disposal of damaged property due to contamination, coverage may extend to business interruption. Anchor location, which covers income loss resulting from covered accident at an anchor location that attracts customers to an insured location. Civil authority coverage which will cover loss of profits or stoppage of work due to a civil authority denying access to an insured business. Equipment coverage insurance can help cover cost to upgrades or improvements to equipment to make said equipment compliant to energy efficiency laws or regulations. Equipment coverage insurance can help cover cost due to costs of stamping or removing labels on damaged equipment that may still be salvaged. 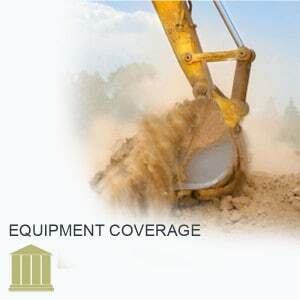 Equipment coverage insurance can be inclusive to cover equipment damages to equipment located in other countries. Some equipment coverage policy coverage’s can include preventative needs such as, inspections, loss preventions services for improving equipment production and safety. Equipment coverage’s can protect against some types of data breach related costs.